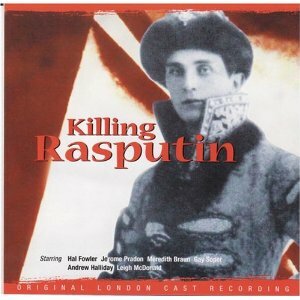 Written with Kit Hesketh-Harvey, and under the tutelage of Stephen Sondheim, this is the story of Prince Felix Yusupov, the man who planned – then carried out – the murder of the self-styled ‘holy man’ Grigor Rasputin in early 20th century Russia. Rasputin’s extraordinary ‘power’ to alleviate the symptoms of the haemophiliac heir to the Russian throne – Crown Prince Alexis – made him indispensable to the Tsar and Tsarina. However, with Rasputin’s increasing political power leading to a series of disastrous decisions, Yusupov decided to act. A Further production is planned for 2017.